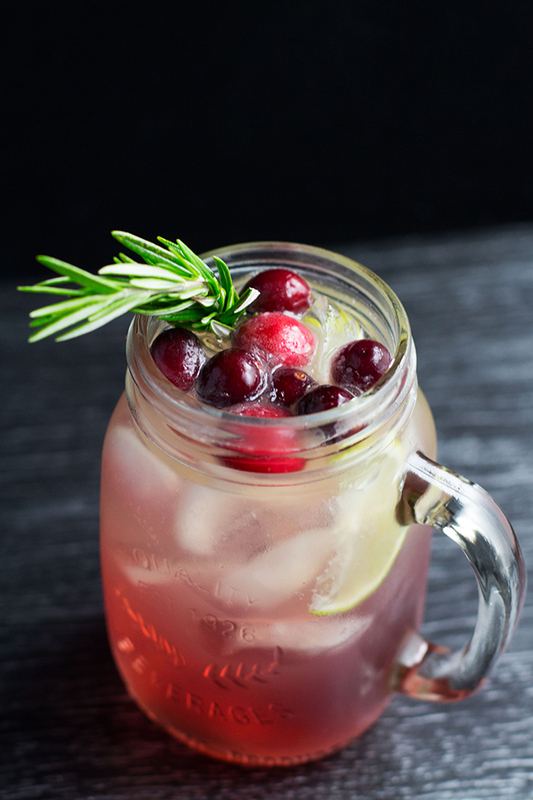 This festive styled Cranberry and Rosemary Christmas Mule cocktail will make the perfect addition to any kinda get together over the festive season. It is perfect for small or large crowds and can be made alcohol free so even the kiddies can enjoy it. Hey guys and welcome back to my SERIES where I help you guys with growing your own home bar whilst sharing lots of cocktails with you along the way. 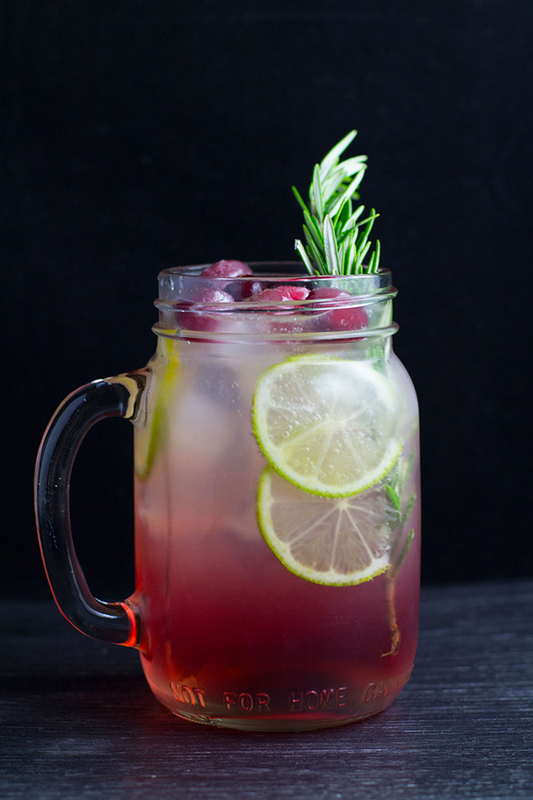 Today we are up to the tenth cocktail in this series, my Cranberry and Rosemary Christmas Mule. Which as the name suggests is a festive styled cocktail and happens to be the first Christmassy cocktail that I have shared with you guys. As I mentioned in LAST WEEKS POST I have a few festive styled cocktails to share with you all over the next couple of weeks, which I’m pretty excited about, cause I love Christmas! So everybody that has tried this cocktail so far has absolutely loved it and I know you will too.From the tart, tangy flavors of the cranberry juice, to the spiciness of the ginger beer and to the sweet, subtle herbaceous flavor that the rosemary sugar syrup brings. Does that sound like Christmas in a cup or what? Plus it is super easy to whip up. Can be made as a singular drink or multiplied to serve many. Can be made into a pitcher or served in a punch bowl. And it can also be made alcohol free whilst still tasting magnificent. To make this cocktail possible you are going to have to pre-prep the rosemary sugar syrup. Which isn’t hard…all you have to do is make it a little bit before hand so that it has time to cool before you use it. I love how infused sugar syrup can really change-up a cocktail, and this rosemary syrup is truly amazing and is everything in making this cocktail stand out on the Christmas table drinks list. Alright, so to make this cocktail you are going to need that bottle of vodka that has been chilling out on the bar shelf over the last month, your BARSPOON, JIGGER and LEMON SQUEEZER and a mason jar or something similar to serve it in. Firstly fill your mason jar ¾ full with ice. Using your lemon squeezer, squeeze ½ a lime into glass. Next using your jigger measure out vodka, rosemary sugar syrup, cranberry juice and ginger beer and pour into glass. Using your barspoon mix the drink well by rolling spoon handle between your thumb and fingers whilst using and up and down motion at the same time. 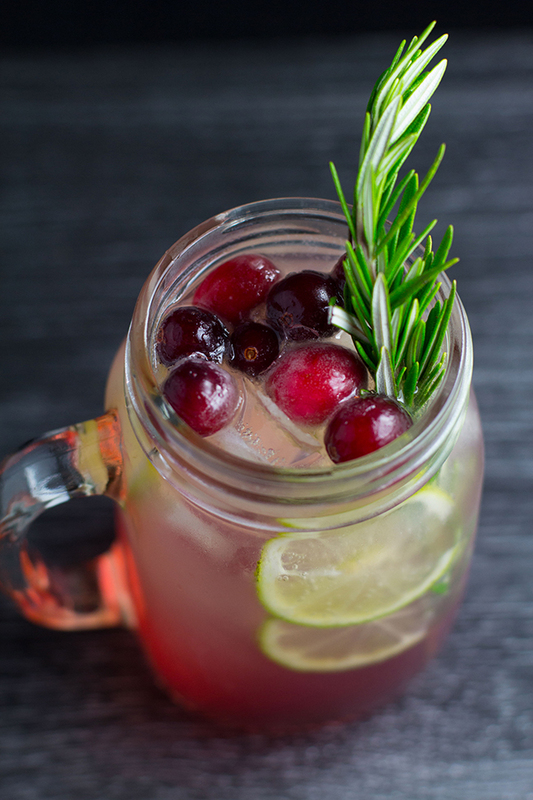 Garnish with lime slices, a sprig of rosemary and a few cranberries. And if you are serving a mixed crowd of adults and kids then you can always make the pitcher or punch bowl without the vodka in it and just add it to the adult cups before serving. So if you are looking for something special to serve up on Christmas Day or at your next festive get together then I highly recommend adding this Cranberry and Rosemary Christmas Mule to your list. You won’t regret it, I promise. And if you try it let me know by leaving a comment below. I love hearing from you guys and sharing our cocktail experiences together. Until next week, cheers friends.